RSVP for our free Fruit Tree Seminar on Saturday, January 10th at 11:00 a.m. at the Madisonville Garden Center. Dr. Arnold Foster will present planting, proper care, and what varieties do well in this area. RSVP here. It’s time to plant pecan, fruit, and shade trees. See our selection here. It is also time to plant berry and grape vines as well as onions and potatoes. 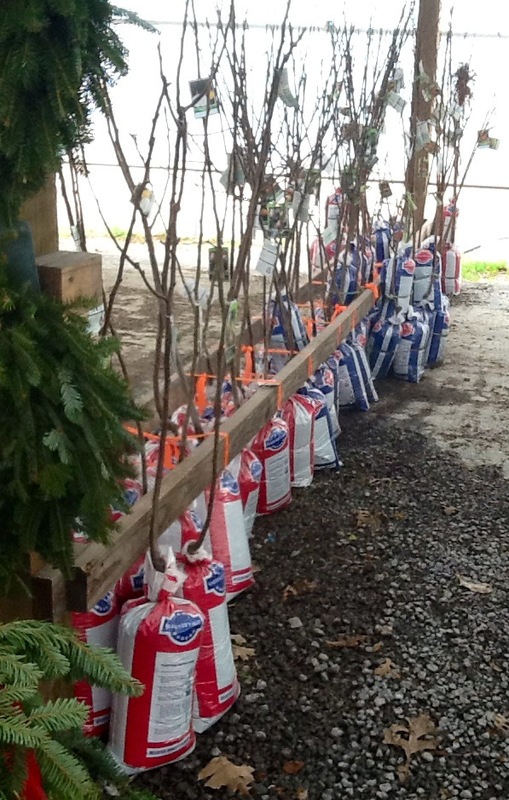 Stop by the garden center to pick up your onion sets and seed potatoes. Check out this great article on planting onion sets. Thyme, rosemary, cilantro, parsley, spearmint, chocolate mint, Brusselsprouts, spinach, peppermint, lettuce, cabbage, kale, broccoli, and cauliflower. Stop by the Garden Center in Madisonville! This entry was posted on Monday, January 5th, 2015 at 11:25 pm	and is filed under Paul's Garden Corner. You can follow any responses to this entry through the RSS 2.0 feed. Both comments and pings are currently closed.